As Riyadh’s investment shindig opens, the Khashoggi affair has cast a pall on the kingdom as a source of funds for Western startups, infrastructure and the like. Qatar is smaller and blockaded, but rich. If the world needs a vision fund, it could just as easily come from Doha. 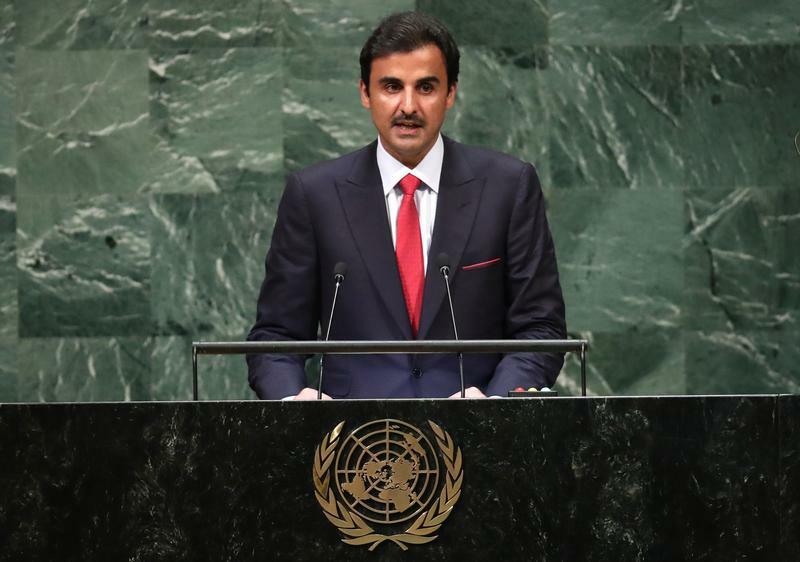 Qatar's Emir Sheikh Tamim bin Hamad Al -Thani addresses the 73rd session of the United Nations General Assembly at U.N. headquarters in New York, U.S., September 25, 2018. Saudi Arabia’s Future Investment Initiative conference begins in Riyadh on Oct. 23. It is due to run until Oct. 25. French energy group Total said on Oct. 22 that its chief executive Patrick Pouyanné would still attend the event, after numerous American and European executives pulled out.